I a single guy and not necessarily a great cook. I do enjoy cooking, but cooking for one person can be a challenge at times. Also, I’m acutely aware of wasting food, so oftentimes I wind up buying frozen foods. That isn’t exactly very healthy, but it is convenient. What I’ve noticed the past few years is that places like Trader Joe’s, Costco and even supermarkets like Safeway, will carry a lot of frozen Chinese, Japanese and other Asian ethnic cuisines. So I thought I’d start a new series called Asian American Frozen Foods – to highlight and possibly review these frozen food dishes. 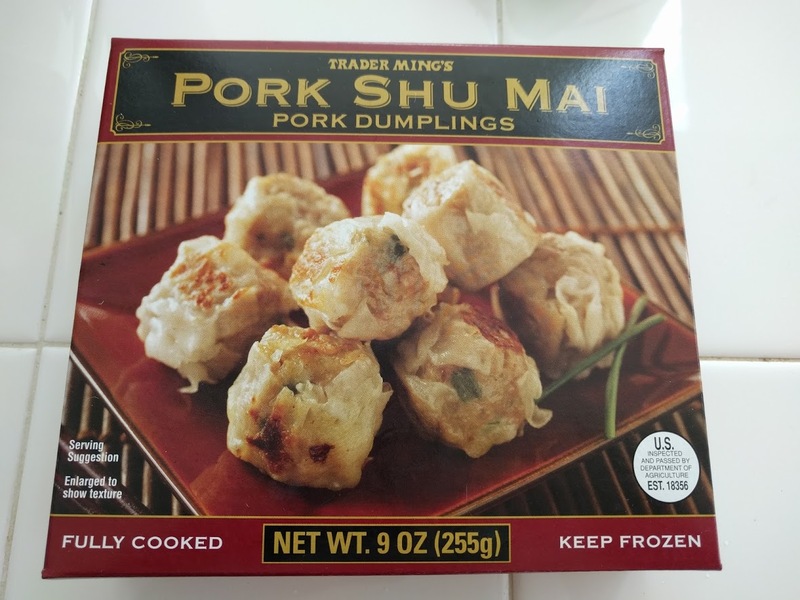 To be honest, the shu mai pork dumplings didn’t really taste all that flavorful compared to what you would get at a Chinese restaurant, or even as good as some frozen shu mai pork dumplings that I got at a local Ranch 99. So I can’t really recommend these, unless you’re desperate for some shu mai.